What is Trump’s plan in Iraq? 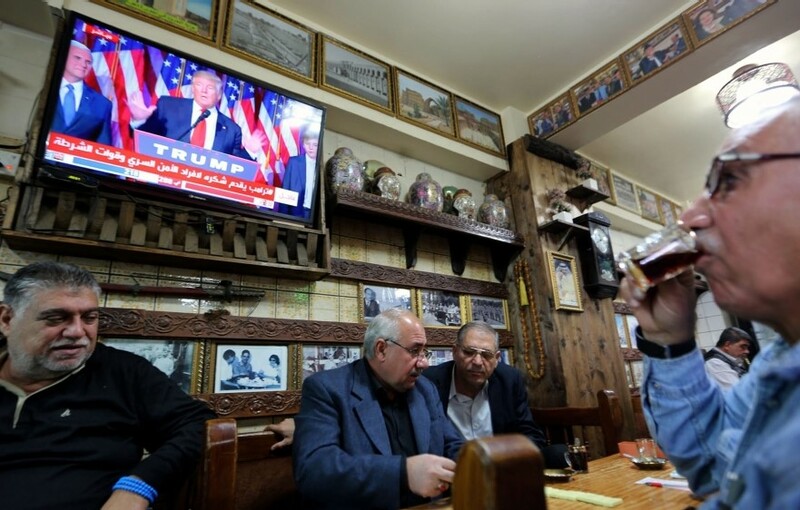 Iraqi eyes look to the White House, Donald Trump now the President, who talked a lot about Iraq before winning the election. All Iraqi people are waiting for what he will do in their country. Most of the world are also worried about Trump’s policies and attitude. The Iraqi government are worried also, in addition to the political leaders and parties, especially those who have support from neighboring countries. All are nervous and warn of how the relationship will be between them and Mr Trump, as now he is the boss and what he said in his campaign, they have to take seriously. Trump wants to “knock the hell out of” Iraq’s oil fields in order to strike ISIS. Trump said if we kept Iraq’s oil safe there would not have been Daesh. Trump said we should stay in Iraq to take the oil, as stated to The Wall Street Journal. So here is the question, will Trump return the US military to Iraq again and what will happen if he really does that, as there are a lot of Iraqi people who refuse for the US troops to come back to Iraq, in addition to the political parties, clerics and militia? Trump said Saddam Hussein was a bad guy But you know what? He did well. He killed terrorists. So now the Iraqi people question, why did the US troops come to Iraq in 2003 if Saddam was good and fights terrorists? Why did he agree to the war, Trump, when he first publicly stated his support for the Iraq War one month before Congress voted to authorize the use of military force in Iraq, when radio host Howard Stern asked him if he favoured invading Iraq and said I’m no warmonger. But the fact is, if we decide a strike against Iraq is necessary, it is madness not to carry the mission to its conclusion. And on his election campaign he said he opposed the Iraq war from the start, but he did not. Trump said Iraq is now a Harvard University for terrorists, you want to be a terrorist you go to Iraq. So what will he do with the ‘Harvard University’ and oil fields? Trump, in a speech to the CIA on Saturday stated that the US should have taken Iraq’s oil in reimbursement for the 2003 invasion that ended Hussein’s rule, suggesting also that this would have prevented the rise of the Islamic State, a source of the terrosist group’s funding being removed. Despite this however, do you know how Iraqi refugees who live in the US feel after Trump took the chair and was sitting in the White House? They are scared, especially after some of the racism against the Muslim Arabs following Trump’s victory. Rafah Al Saad is a a Senior Writer/Reporter at the Al Arabiya News Channel, MBC Group.